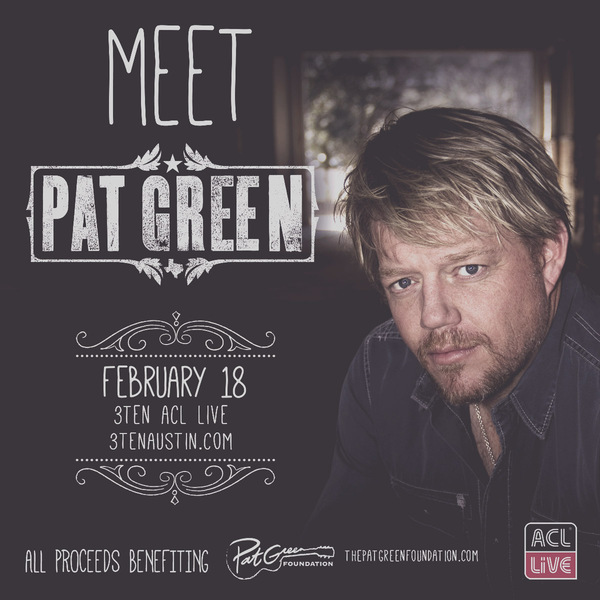 Join Pat Green at 3TEN ACL Live before his show upstairs and raise money for the Pat Green Foundation. Pat’s foundation supports community organizations dedicated to helping others, including the Gladney Center for Adoption, the Cystic Fibrosis Foundation, the Ben Hogan Foundation, and The Navy Seal Legacy Foundation among many others. Attendees will have a great experience with one of Texas music’s very best, all while supporting a very worthy cause. All proceeds go to The Pat Green Foundation.